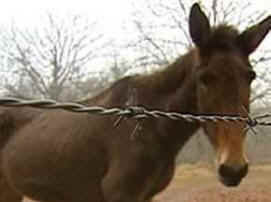 Jolene Solomon had just finished her supper on New Year’s Day and was watching the 5 pm news when she noticed her mule Lou making a commotion by the gate. “I figured he was trying to tell me a car was pulling up,” said Solomon, 63. Solomon escaped injury, but her home is a complete loss. It was a home built by her grandfather and a home where she had lived her entire life. Solomon was living alone. She says the fire started in the attic and she has no idea what caused it. She is now living with her cousin and is thankful she still has her life, if not her possessions. Originally published in Southern Standard, McMinnville, Tennessee.